Steak ‘n Shake is a classic American brand featuring premium burgers and shakes. In 1934, Steak ‘n Shake pioneered “better burgers” hand-crafting burgers made with cuts of steak. Premium burgers; great prices; excellent Franchisee profits. Steak ‘n Shake, founded in 1934 by Gus Belt, in Normal, Illinois has owned the better burger segment for nearly 80 years. Our Brand strength is demonstrated by U.S. industry leading same store traffic growth over the past four years. With over 700 operating restaurants in the U.S, Europe, Saudi Arabia, Qatar, and more than 20,000 employees in the USA, Steak ‘n Shake has already proven to be a massive success - and they fully intend to replicate this achievement on the international stage. With over 350,000 clients visiting Steak ‘n Shake daily in the US, the brand generates system-wide sales of nearly 1 billion dollars by selling more than 110 million Steakburgers annually, as well as more than 80 million portions of fries and 60 million hand-dipped milkshakes. Headquartered in Monaco, our International development team is ready to meet with you. The top 20 senior executives will be in Europe throughout the summer of 2013 to secure partnerships with prospective franchisees. Steak ‘n Shake is a wholly owned subsidiary of Biglari Holdings. Biglari Holdings (BH: NYSE) is a diversified holding company engaged in a number of business activities. The company has significant operations in the restaurant and investment management businesses. TAKING EUROPE & THE MIDDLE EAST BY STORM! 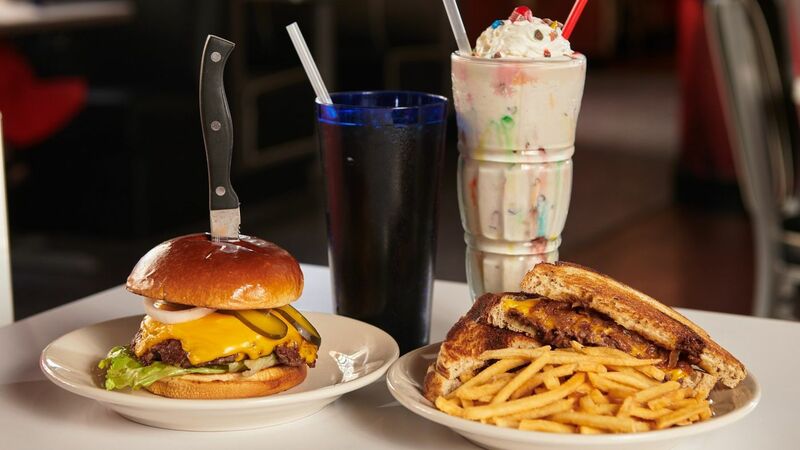 Europe has been lacking a gourmet burger chain offering premium burgers at an affordable price, and the Steak ‘n Shake brand is positioned to fill that void. New premium menu items have been added, as well as new designs including a new Shake Bar, a sleek, elegant, modern apparatus to serve our shakes. The aesthetics of the new restaurant makes it inviting, its pleasing designs allowing it to increase significantly its financial performance for our franchise owners and also has resulted in Steak ‘n Shake’s on-going expansion in the United States as well as the new international expansion program. Our burgers, milkshakes and fries are prepared according to this philosophy. After the first bite you will be left without a doubt about the care we take. We use only the top grade of finest meat for our burgers. And of course, every steakburger is handmade freshly to ensure our quality. On top of our burgers we are famous for our milkshakes, many say: “The best milkshakes in the world”. Our Menu - Steak ‘n Shake prepares the finest quality Steakburgers, fries, and shakes. Our Signature Steakburger is 100% certified ORGANIC with no preservatives, no hormones, no antibiotics - only the top grade of the finest meat. A customer favorite, our thin and divinely crisp fries are never frozen calling for only the freshest cut potatoes, rinsed, blanched, par-cooked, cooled, then finally cooked to order. Our shakes are made the same way we’ve always made them for 80 years - all hand dipped, with real milk, combined in a stainless container, blended at our custom shake station, and poured into a tall frosted glass, all topped with whipped cream and a cherry. Our milkshakes have been voted #1 by Zagat. Today, we have elevated our shakes to a higher level with our new Shake Bar, a cosmopolitan approach to providing different beverages such as shakes, wine and beer (depending on location), freshly made gourmet coffee, latte and espresso in a jovial, very cheerful and social environment that combines nostalgia for hand-dipped shakes and excitement for the new design. Biglari Design provides modular customized restaurant design solutions for its franchisees. This allows franchisees to select from multiple options to best suit their site specific real estate needs. In this new century what will set us apart from our competition is Biglari Design’s creative drive to provide the finest design and aesthetics in an unmatched luxurious setting, combined with Steak ‘n Shake’s commitment to premium, high quality ingredients and distinctive preparation all at low prices. Our architectural design is sleek, modern, and suitable for everyone’s enjoyment, offering high-tech ordering systems, bar-like counters, sleek banquets and comfortable lounge seating. A qualified support team will help you to set up your restaurant and train your staff. The dedicated head office support team will always be available in order to address any issues you may have, for the entire term of development. Steak ‘n Shake has a track record, going back over 80 years, in cost efficiency. They carefully devise a full supply chain solution for every market they open in. You will be supplied with state-of-the-art tools to increase your efficiency, both before and after opening. A Steak ‘n Shake restaurant can be constructed in many different types of size and city areas, and Steak ‘n Shake provides full design concept drawings. Steak ‘n Shake will ensure you have full support from their key specialists throughout the development process. They have an extensive catalogue of marketing programs and will help by supporting you on every step of the opening process; and provide you with all necessary tools for outstanding continuity. • Premium burgers; great prices; excellent Franchisee profits. • Our niche is to offer premium burgers at an excellent value. • Our Signature Steakburger is 100% certified ORGANIC with no preservatives, no hormones, no antibiotics. • Modular customized restaurant design solutions. Steak ‘n Shake is seeking Master Franchise Partners for countries throughout the MENA region. 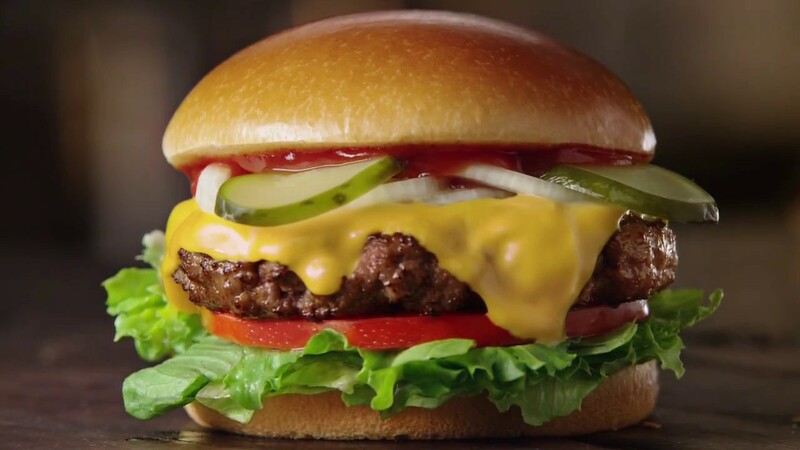 This is your opportunity to capitalize on the ever-growing worldwide hunger for premium, hand-made burgers and milkshakes - as a highly successful, classic American brand expands in Europe & Middle East. If you are interested in this incredible opportunity, please fill out the inquiry form.